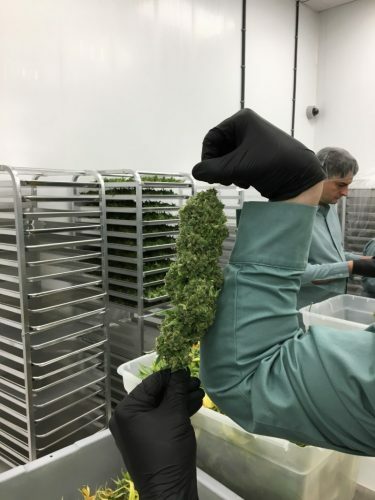 A uniformed jungle of cannabis plants sway like heavy pendulums in an airlocked grow room where everything – from light, to heat, to humidity – is measured, tightly controlled down to fractions of degrees. And even by the medical cannabis producer’s standards, where indoor growing has become something of a fine science, this crop of CBD Shark (or as Organigram has dubbed it, Baleen) is going to yield impressive top colas. The flowers are so heavy that had the stems not been fortified solid by an even, steady breeze over the past nine weeks, they may well have broken under the weight. With the steady growth of the medical marketplace and with preparations for the fast-approaching adult recreational market well underway, the cannabis industry in Canada is growing at a staggering pace.